Welcome To The 2019 Mercury Class Web Site! 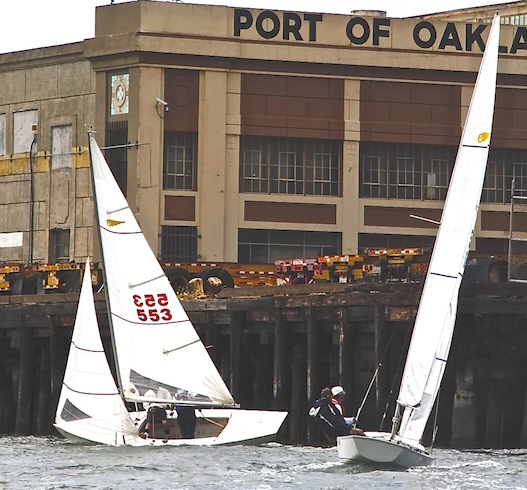 For over 74 years the Mercury Class Yacht Racing Association (MCYRA) has been racing throughout California. For 2019 the class continues to thrive and grow with great racing throughout all of California. We have expanded the class archive section with some great historical docs and images with more to be added. And as always use the site learn about our history of competitive racing on the water and and family oriented activities off the water. 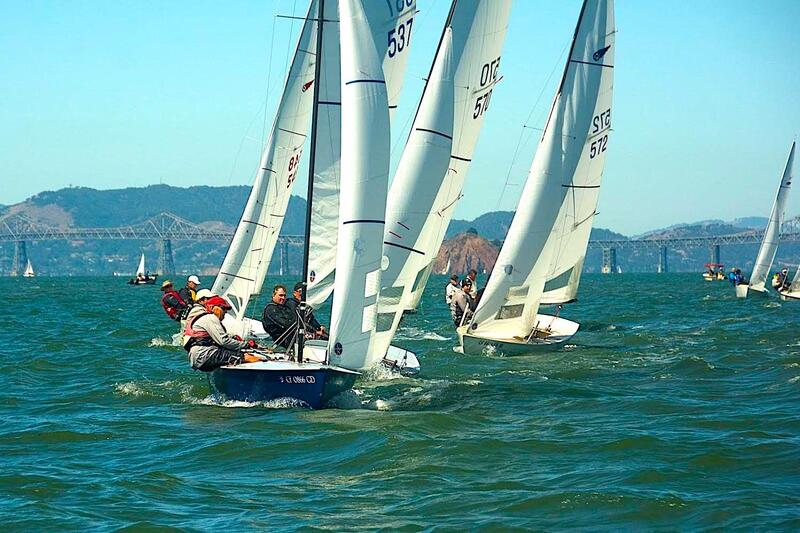 In 2019 we continue to attract top sailors in the best California racing venues but we don't forget to have fun. 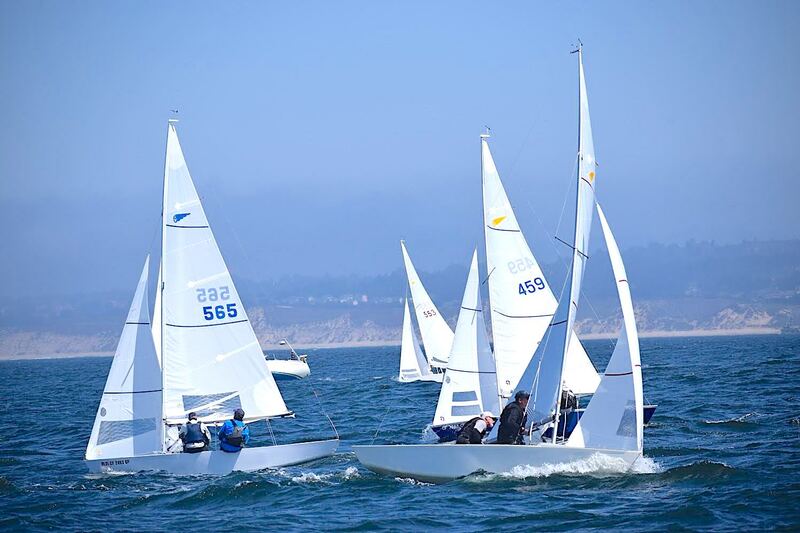 With regattas hosted in the San Francisco bay area, Carmel, Monterey, Huntington Lake in the Sierras, Santa Barbara, Los Angeles and San Diego great competition is close by and always a challenge! 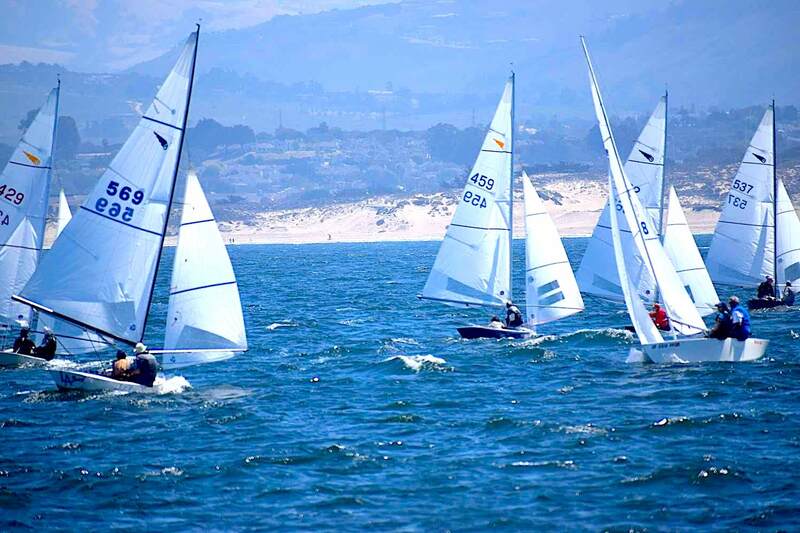 Our active regatta schedule has events occurring every month of the year. Mercury sailboats are easy to store, trailer and launch. And you can get started on a budget with competitive used boats starting around $1000. For a closer look at a boat or a test sail as a crew contact a fleet representative. 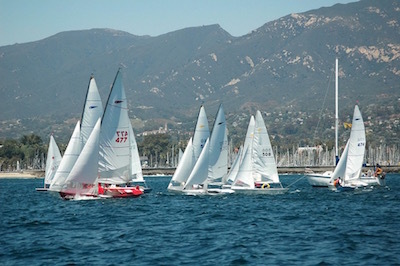 Time to head back to beautiful Santa Barbara for warm weather and great sailing! 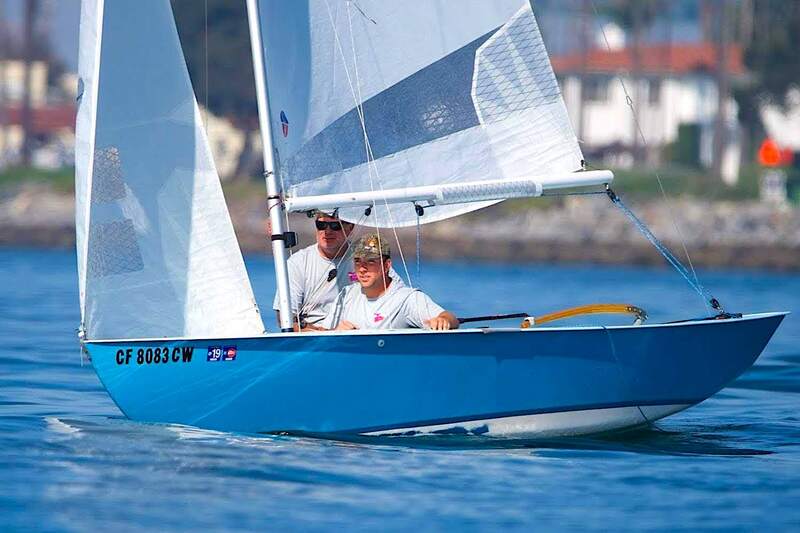 May 4-5, 2019 Santa Barbara Sailing Club at Santa Barbara Harbor. Early reminder to get your lodging booked early! Sailing in gray and occasional light rain the first race was a drifter, half sausage course (downwind finish at s/f line, wind out of south. Jim Bradley wins start, West finds a groove with new suit of prototype North Sails (first suit of Mercury sails in nearly half a century!) and wins first race. Randy Smith second, Jim and Kathy Bradley third. Two more dropped out with one directly headed to the great EYC bar looking over the Estuary. Seven Mercurys sailed with two brand new crews out of RYC, Charlie Mckenzie, new to Mercury Class and Dan Brandt, the RYC sailing coach. The 2019 Mercury Nationals at RYC is creating significant buzz in that very active small boat sailing club as these new competitors evidence. 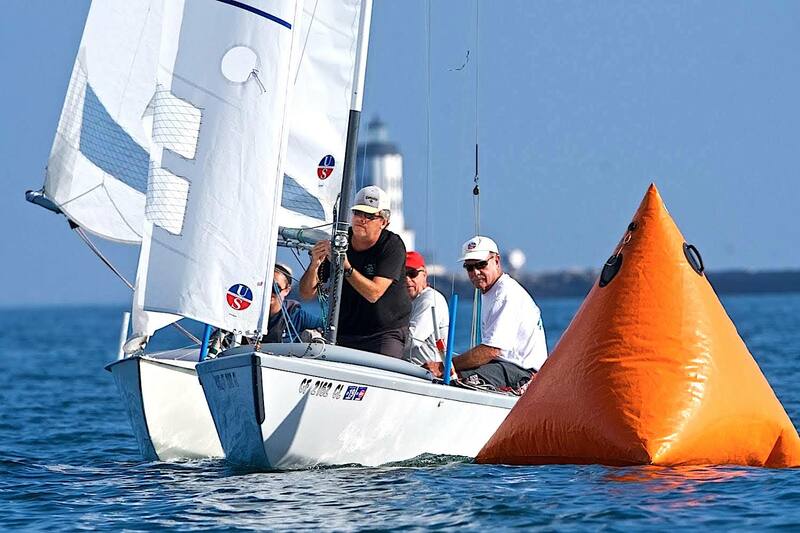 Due to high wind and unsafe on the water conditions, racing on both days was cancelled. 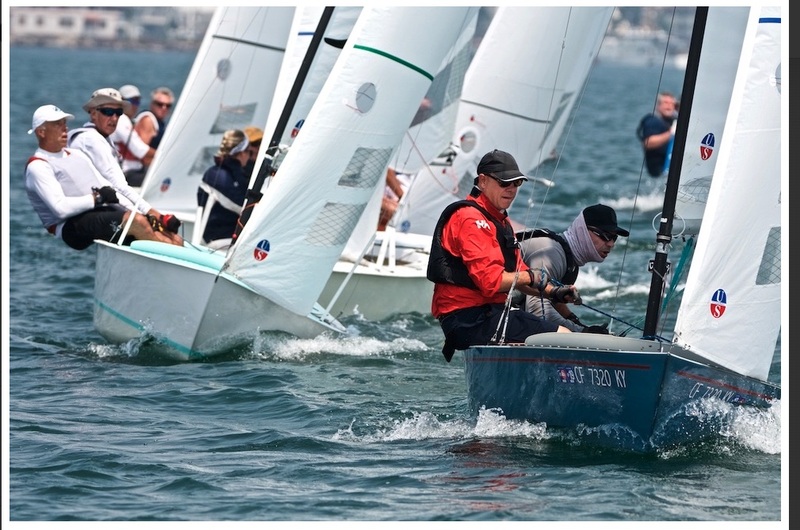 Thanks to the Cabrillo Beach Yacht Club for again hosting this regatta. Well hello again all Mercury class members near and far!! It’s time for a class update!! So Perry Cup 2, 3, and 4 were canceled because of stormy weather as was Mid-Winters…..As many of us had hopes of getting the season back on track in March, Nor Cal #1 and So Cal #1 both were canceled due to, yep you guessed it, STORMY weather! Not a lot of race reports due to weather related cancelled events. 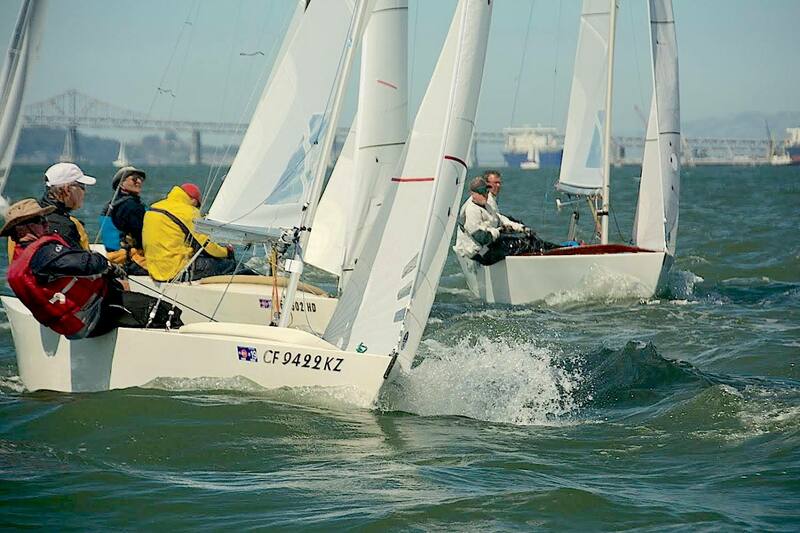 There will be a chance this coming weekend if all goes well for sailing the last of the four part Richmond YC Midwinters Sunday March 3rd. We pledge our commitment to clean waters ands shores by participating in Sailors for the Sea's Clean Regatta program. We vow to fulfill, and encourage others to fulfill, the goals and requirements of Clean Regattas as set forth by Sailors for the Sea, and to work to protect and restore our waters for the use and enjoyment of current and futrue generations. Mission: Provide leadership, integrity and advancement for the sport of sailing. Vision: Leader in training and certification, in support for the racing sailor and in facilitating access to sailing.